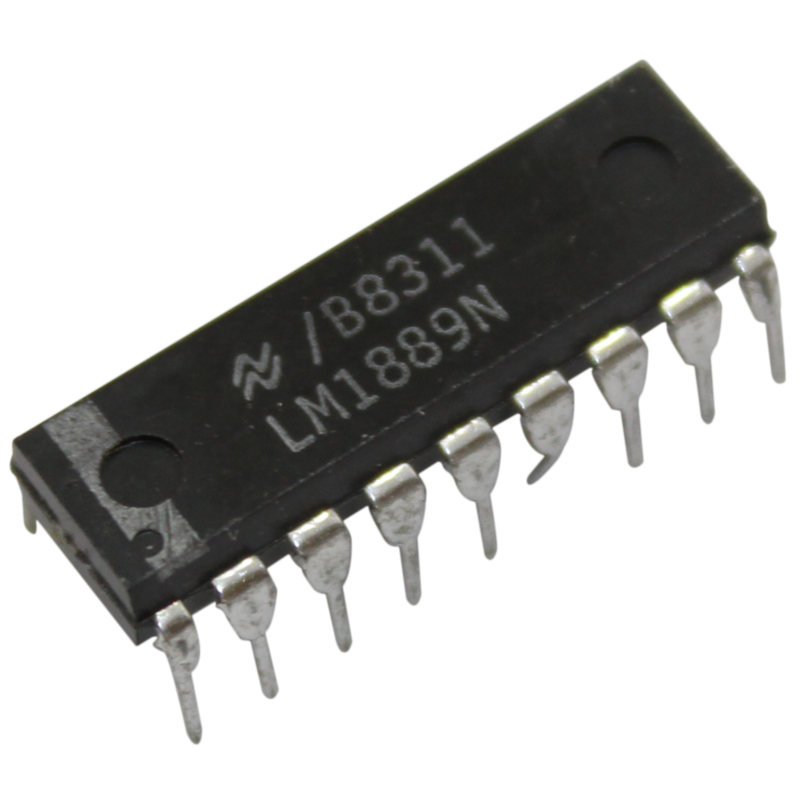 The LM1889 is designed to interface audio, color difference, and luminance signals to the antenna terminals of a TV receiver. It consists of a sound subcarier oscilator, chroma subcarier oscilator, quadrature chroma modulators, and RF oscilators and modulators for two low-VHF channels. The LM899 allows video information from VTR's, fames, test equipment, or similar sources to be displayed on black and white or color TV receivers. 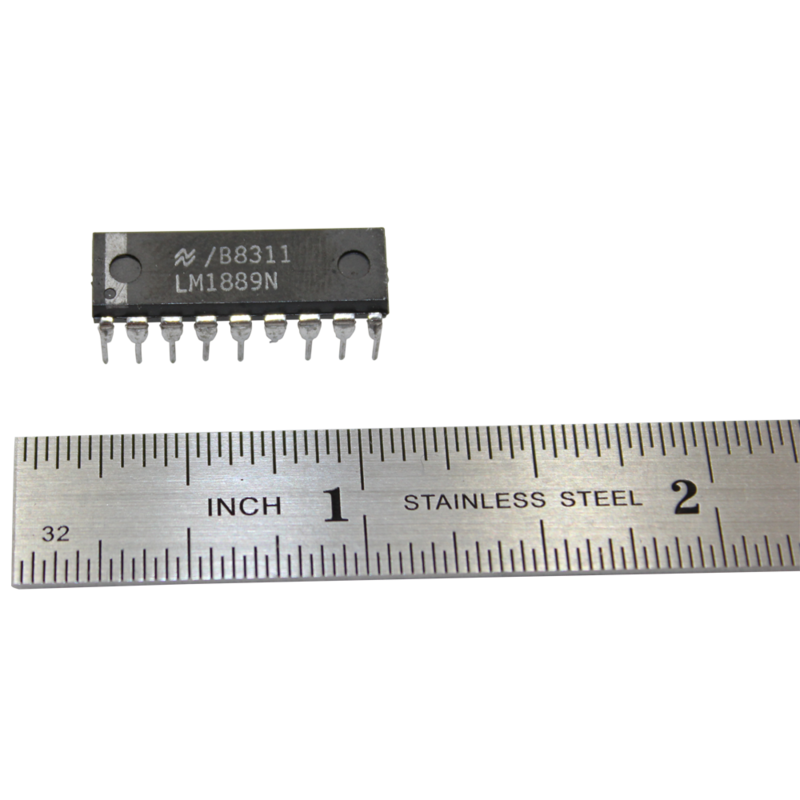 Please note: This is an IC chip only, not a complete system.